Having a space where students feel comfortable to express themselves and ask for non-judgemental help is what makes or breaks a positive college experience. Specialized student areas, such as Indigenous Centres, are integral to the student experience, not just First Nations students but all students. Durham College opened the doors of its renovated First Peoples Indigenous Centre in the new Centre for Collaborative Education (CFCE) building in September. Back in 2014, UOIT’s Baagwating Indigenous Student Centre was opened. These centres need more funding to ensure students have a diverse and culturally rich post-secondary experience. After Bill C-262, “an act to ensure that the laws of Canada are in harmony with the United Nations Declaration on the Rights of Indigenous”, was passed on May 31, 2018, more effort was made in creating Indigenous Centres in post-secondary institutions. However, in July of 2018, Doug Ford’s Ontario government cancelled curriculum content writing sessions. On January 21, 2019, the Government of Canada and the Assembly of First Nations announced a new policy on Indigenous education funding. When the new policy takes effect on April 1, First Nations People will have more input on First Nations education and have a sufficient budget to do so. This is the first step in the right direction. 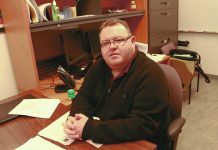 The Indigenous Centre staff at Durham College are referred to as Indigenous coaches. They are trained to offer guidance to students in addition to the educational value of the centre. 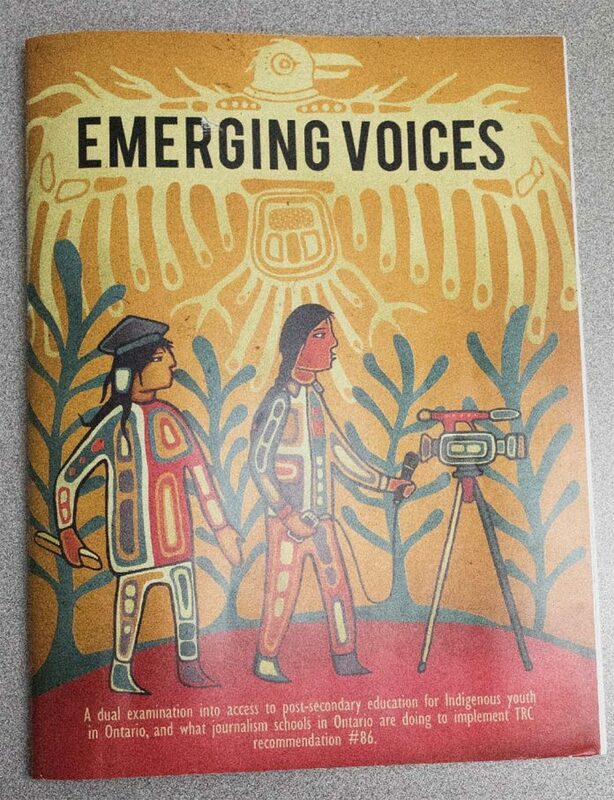 For many years, Indigenous students were not encouraged to discuss their culture within an institutional educational setting. Not only was Indigenous culture not celebrated, it was actively ignored. 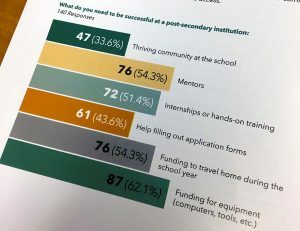 According to a Journalists for Human Rights (JHR) landmark report on access to post-secondary education for Indigenous youth in Ontario, Emerging Voices, 34 per cent of Indigenous students interested in pursuing post-secondary education indicated that a thriving community at the school is what is needed to be successful. The study also noted that more than half of respondents (54.3 per cent) said having mentors was a contributing factor to student success. Out of 140 responses, many students believe a thriving community at school and mentors would be contributing factors to their success. The office of Student Diversity, Inclusions and Transitions is associated with the Indigenous Peoples’ Centre at DC. Both entities host events relevant to the community such as screenings of the R Kelly documentary, followed by a discussion of key themes and analyses. In addition, students have access to services such as advisory support, harassment and discrimination investigations, restorative justice, referral services and mediation. 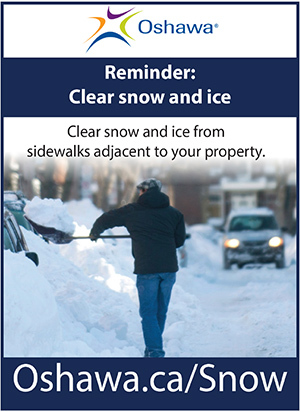 This gives students another option to asking formal guidance from student services, in a more comfortable manner. The centre’s operation beliefs are based on the medicine wheel principles. 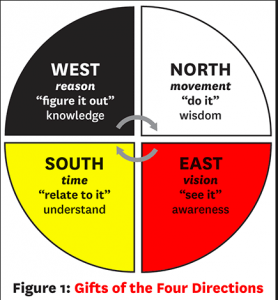 The medicine wheel is a tool for learning and teaching which explains ways of knowing for Indigenous peoples. The circle symbolizes how everything is interconnected and each part of the circle represents each stage of human life, a season and a direction, with its own wisdom to share. Those who want to learn more on Indigenous culture can participate in restorative circles and immerse themselves in out-of-the-class learning at the Centre, which is also a safe haven for students. The Indigenous Centre has support groups and many initiatives focused on well-being. Smudging ceremonies open students’ eyes to new medicine and spirituality or give students the chance to honour and celebrate Indigenous culture. Workshops and presentations on Indigenous culture are available for all students to further their understanding of Indigenous ways of life and contributions of Indigenous peoples. Topics covered include reconciliation, residential school, treaties, medicine wheel teachings and racism. Not only is the Indigenous Centre at DC a welcoming home away from home for Indigenous students, it offers a sense of community to other students of marginalized groups. The Centre hosts diversity-focused events for Black History Month, International Women’s Day and Pride. 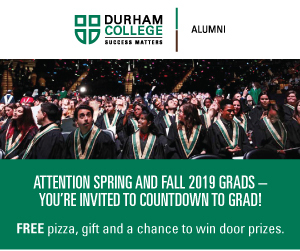 Instead of purchasing Durham College merchandise, such as agendas and pens, students’ money should be put towards rewarding student experiences that the Indigenous Centre offers. More funding would help students know what’s going on at the Centre. With more Indigenous Centre experiences like the one at DC, not only will students glide across the convocation stage with a diploma, but with a more informed outlook on life and that is how reconciliation will happen.